Many of our business clients buy fuel from us simply because we’re competitively priced. Some buy off us because of our unrivalled service. Others buy our fuel because they want guaranteed deliveries. That’s where our priority contracts and emergency fuel deliveries give you 100% peace of mind. For so many businesses, ongoing access to a reliable and flexible source of high-quality fuel is essential. Obtaining a service of this kind in different parts of the UK has proved elusive for many businesses up until now. 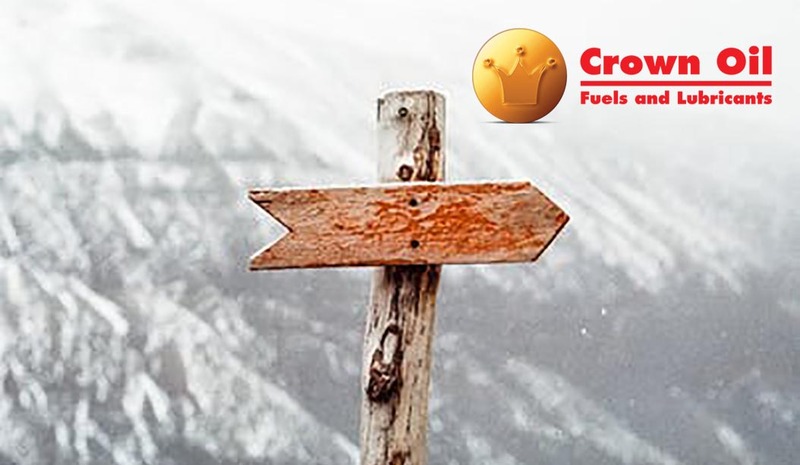 As a successfuel supplier of fuels and lubricants to UK businesses and homes, we are better placed to answer any questions you may have about the buying process of your required fuel. To make it a little easier for you, we’ve put together some of the common questions we get asked by our customers so you can have better clarity of what is involved. To find out more, get in touch on 0845 313 0845 or carry on reading! What fuels and oils do you supply? Red diesel (gas oil), heating oil (kerosene), industrial heating oil (IHO), white diesel (DERV) and biodiesel to name a fuel. We can also create your very own blend of lubricant to help keep your operations running smoothly. Are all fuel suppliers not the same? Simply put, no. Even where other suppliers sell similar premium quality fuel, what sets us apart, is the unrivalled level of service you receive from Crown Oil. And oil in a day’s work. Whether you’re a foreman that has a tight deadline, a farmer with a crop to get in before the cold weather sets in or a boat owner that needs to leave port urgently, our clients know that whatever their circumstances, they can rely on us 100%, with our same day/next day guaranteed delivery service. You say you’re the cheapest red diesel provider, however, this isn’t always the case? We always aim to offer the most competitive prices and do everything in our power to get you the best price on the market. We may not be the cheapest on the day, but we are the most cost-effective company, when you consider missed deadlines, downtime, opportunity costs and all of the other issues associated with receiving your red diesel delivery later than anticipated from other suppliers (or never in some instances!). All of our deliveries aim to be with you within 48 hours and if you need your fuel more readily, we offer same day deliveries with our emergency delivery service to make sure you never have to experience the hefty costs of downtime. Imagine that… Christmas Day, 3 am and you can still rely on us to get your vital red diesel to you. We don’t just supply oils – we supply a business lifeline – and that, we never forget. Is it cheaper to buy a tank and order in bulk or purchase regular smaller deliveries? If you have little storage space and only need small amounts of fuel infrequently, then our 205-litre barrels are the perfect solution. However, if you purchase fuel regularly and you have the facility to store a large fuel tank, we would recommend buying in bulk, as this works out cheaper in the long run. We aim to have all deliveries with you within 48 hours, however, if you are in a remote location and we are in a busy period, it may take a little longer for your fuel to get to you. Upon ordering your fuel, we can arrange a morning or afternoon slot with you, so you can make sure that somebody is available to receive the delivery. If you need your fuel within a few hours or on the next day, you can take advantage of our emergency fuel delivery service. It doesn’t matter whether it’s a Sunday evening or a bank holiday Monday, we specialise in supplying out of hours emergency fuel deliveries to ensure you never experience downtime. Our phones are manned 365 days a year, all day long, to give you ready access to a specialist and delivery all year round. I’m based in a remote or hard to reach to area, will you be able to get to me? We are dedicated to delivering your fuel no matter where you’re located. When ringing up and speaking to an advisor, make sure you let them know of any access restrictions, so we can make sure we send a baby tanker to navigate any hard-to-reach areas. How long will your tanker be onsite? That depends on how easily accessible the fuel tank is and how much fuel is being delivered. Above oil, our drivers are committed to providing a quick and efficient service, where we continually receive positive feedback from our customers on how friendly and professional our deliveries are. How can I let the driver know of any specific delivery requests, such as who to call upon arrival, or which entrance to use? When ordering your fuel, your account manager will ask you of any specifics to bear in mind when our drivers are making your delivery. They will log these on the system which then gets communicated to your allocated driver. We always welcome as much information as possible to make our deliveries as stress-free as possible. What are the rules surrounding using red diesel in my tractor for gritting the roads? Until recently, only purpose-built vehicles were permitted to use red diesel when gritting the roads, however, it was just not practical for farmers to fill up their tractors with DERV to respond quickly to gritting needs. Farmers are now able to grit roads using red diesel to enable them to keep access roads open to ensure the safety of local communities. It makes huge sense as their vehicles are most adequate and readily available for gritting purposes. Can I put red diesel in a kerosene plastic tank? As long as the tank is completely empty of kerosene and it has been cleaned, then there’s no issue with filling it with red diesel. You must never put red diesel into a tank that has any kerosene leftover in it as the consequences of mixing the fuels together can include thousands of pounds worth of damage due to equipment breaking and therefore downtime. What is the difference between industrial heating oil (IHO) and red diesel? Our industrial heating oil (IHO) is the cheaper alternative to using red diesel, however, it’s specifically designed for use in commercial boiler applications for heat generation such as in public buildings, schools, hotels, apartment blocks, grain dryers and hospitals. As it’s a fully rebated product, it’s prohibited for use in both on and off-road vehicles or any other mobile or static engines and it must be for heating only. Can I use the same red diesel all year round? Red diesel (gas oil) differs in seasonal grade, meaning its fuel properties are adjusted seasonally to preserve good low-temperature performance and operability. Winter diesel can be used all year round because it’s more resistant to cold, but summer diesel can only be used during the warm months as it is less resistance to cold temperatures. Here at Crown Oil, we adjust the spec of our red diesel accordingly, to ensure our customers never experience the problems of using the incorrect grade of gas oil, such as operational issues. You could use winter fuel all year round but it is not cost effective. But remember, when the cold weather is embarking, to replace your summer fuel with winter. Don’t risk problems such as equipment failure and difficulty starting. Read more about the differences in the grade of summer and winter red diesel on our blog. My previous supplier let me down, how can I be sure you won’t do the same? Our ultimate aim is to never let our customers down, which is why have over 70 years’ experience doing exactly that. We offer a free fuel management service that will monitor your fuel supplies and arrange deliveries accordingly to make sure you never run out fuel again. That way, you can concentrate on the important areas of your business and leave the experts to your fuel orders. You will have an account manager who will take care of your fuel needs and provide top-ups when necessary. I have fuel that I no longer need, can you help? Absolutely. 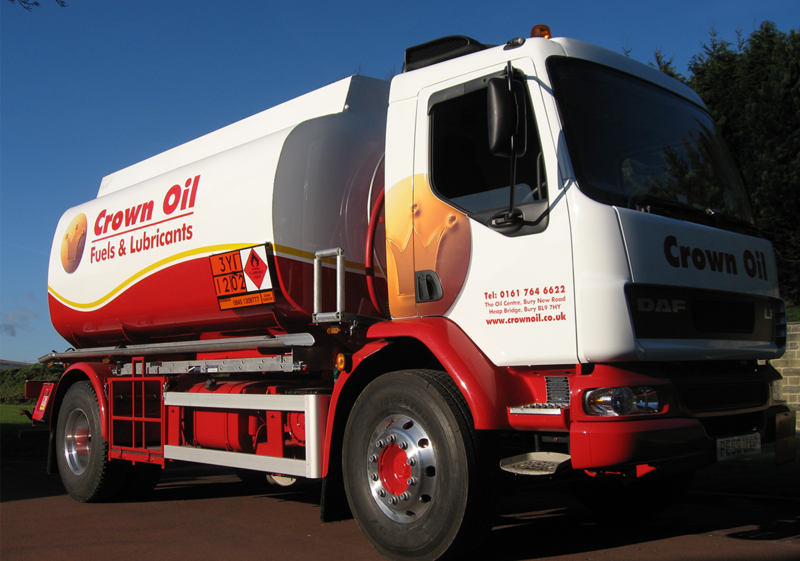 Our sister company, Crown Environmental, has been collecting oils and fuels that are no longer needed for over 30 years, to eradicate the risk of damage to the environment and the inconvenience of surplus oils. 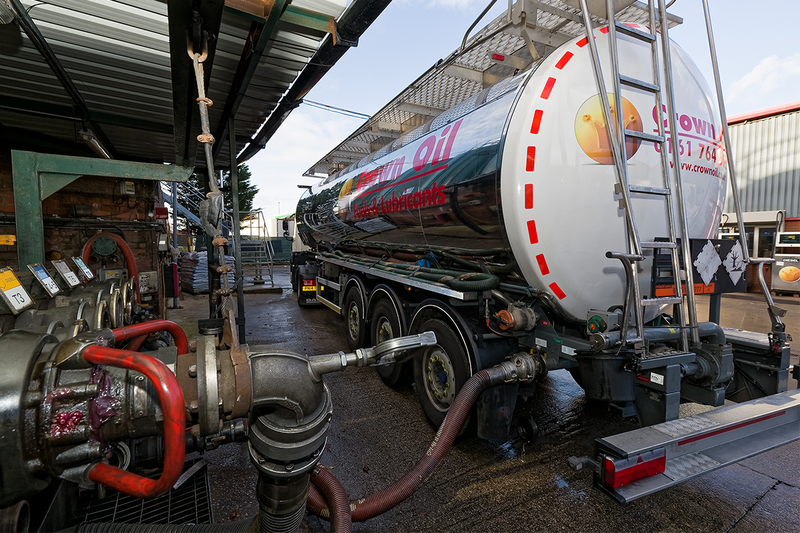 As long as the quantity is over 500 litres, our team of engineers can uplift and take away a wide range of fuels and oils in line with regulations. What’s more, we will always aim to recycle your waste fuels and if feasible, we will offer you a price for your surplus fuels that you no longer require. I’ve seen that you offer a priority contract service, what does that involve? For businesses that cannot afford to risk running low or even dry of fuels, our priority contract service will enable you to truly remain at the top of our list when it comes to fuel deliveries. 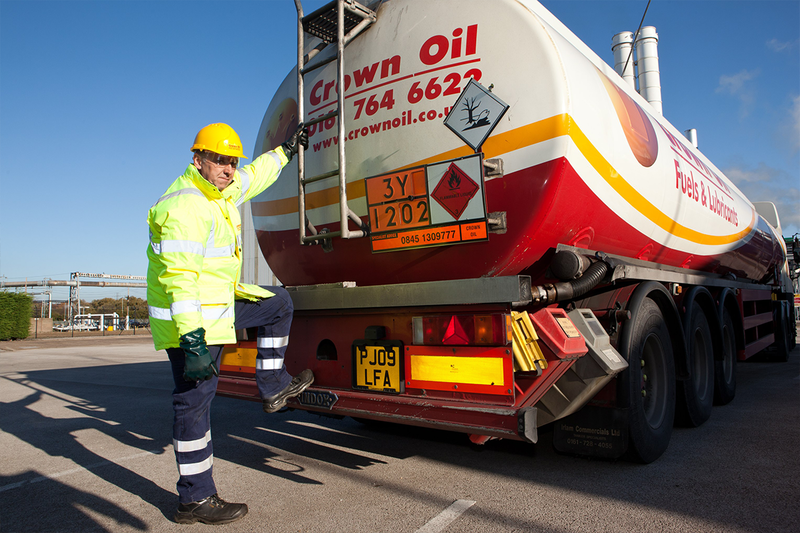 By entering into an agreement with Crown Oil, we will guarantee delivery of fuel to your site, anywhere in the UK, within a set time-limited, regardless of the day, date or time. That way, you can have complete peace of mind that your business will have fast access to fuel should you face a temporary service or fuel delivery interruption. What else can you offer my business? We have over 70 years’ experience giving the customer what they want and when they want it. We can answer all of your questions about fuel, after all, we are the experts. Same day/next day fuel delivery service is our flagship promise to you. We won’t let you down on this one. True nationwide coverage. Again, the devil is in the detail. True nationwide coverage means exactly that. Purchase fuel from 500-36,5000 litres + or a 205-litre barrel. Whatever your amount, we can accommodate your needs. The longest payment terms available in the industry with various payment methods accepted. That way, you can keep your cash for longer, freeing it up for other issues. Benefit from our huge buying power. Our prices are constantly being monitored to ensure they always remain competitive for our clients. Real-time price information enabling you to make an informed decision on when to buy your fuel. For a fuel company you can rely on, get in touch with our friendly and knowledgeable team today on 0845 313 0845 to discuss your needs and requirements.